How to furnish your living room at a fraction of the price -- or, how Craigslist, Ebay and patience paid off! My husband and I don't have the same taste in furniture. I like overstuffed and comfy, he likes modern and sleek. 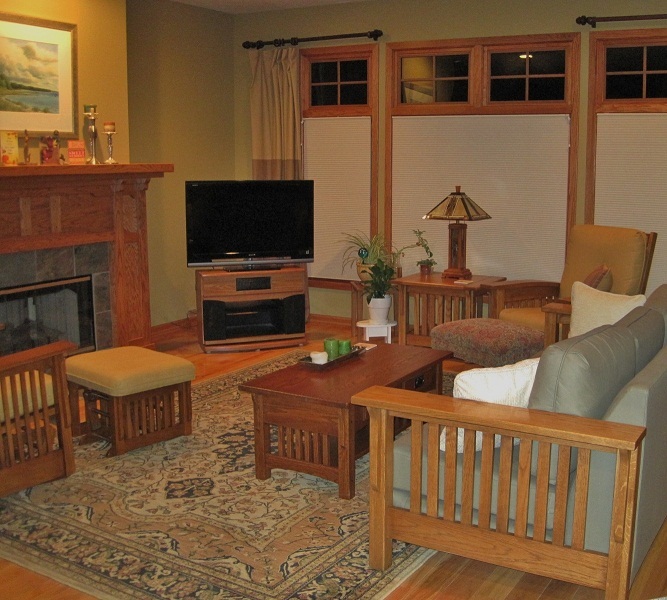 When we built our cottage style home we did find something in common in that we both loved the warmth of wood. Okay, I can build on this. 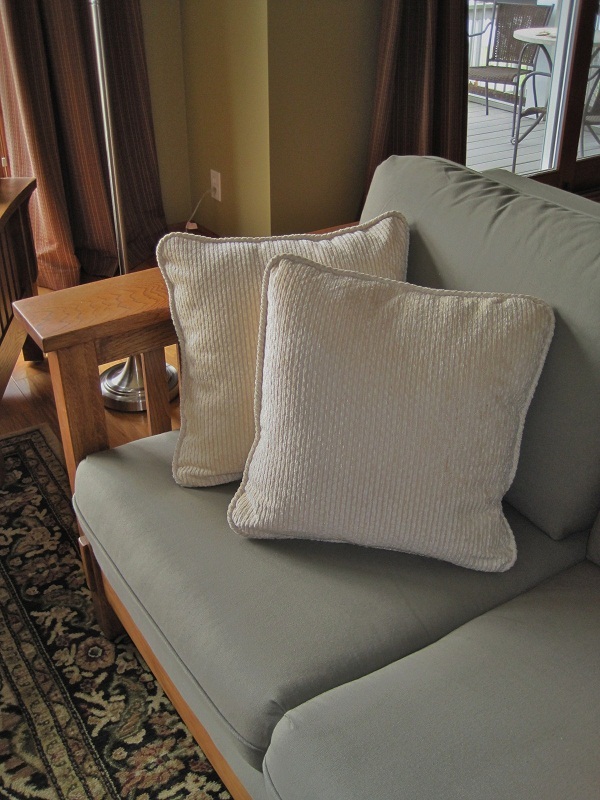 After years of false starts, I spotted a mission style sofa on the web one day and asked him what he thought of that style. Eurica! He liked it. So, now I was on a...you got it....mission! It didn't take long for me to discover that this style furniture was unfortunately way out of our price range. I was seeing sofas for $3000-$5000+. Drat, now what? That's where Craigslist came in. 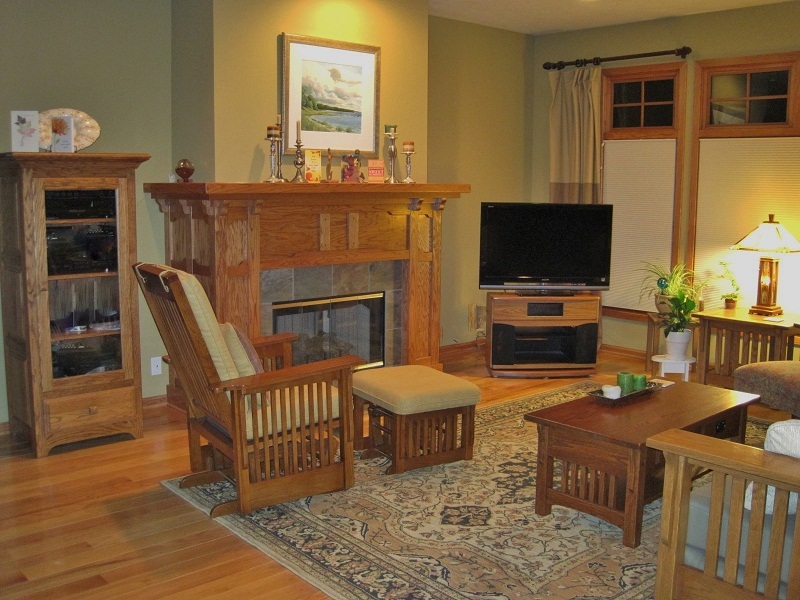 I began a weekly search for mission style furniture in the greater West Michigan area. After several weeks and no luck, I decided to look on Ebay mostly so I could price items. I spotted a listing for a mission sofa, chair and end table for a grand total of $399. And better yet, it was listed for local pick up only in Grand Rapids! What were the chances of that? I couldn't believe it. So I contacted the seller, we jumped in the truck and drove to GR. The pieces were just what we wanted. The upholstery was awful, but the structure was beautiful. I had planned on getting everything reupholstered anyway. So we loaded it up and brought it home. 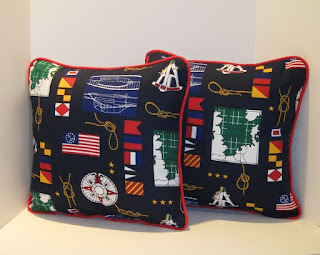 A friend who we've had upholster several items for us over the years came over and estimated the yardage and I started searching for fabric. I ended up finding fabric at fabric.com which was not a good experience, but that's another story. About a month later, knowing we were going to Chicago, I broadened my Craigslist search to include Chicago-land. 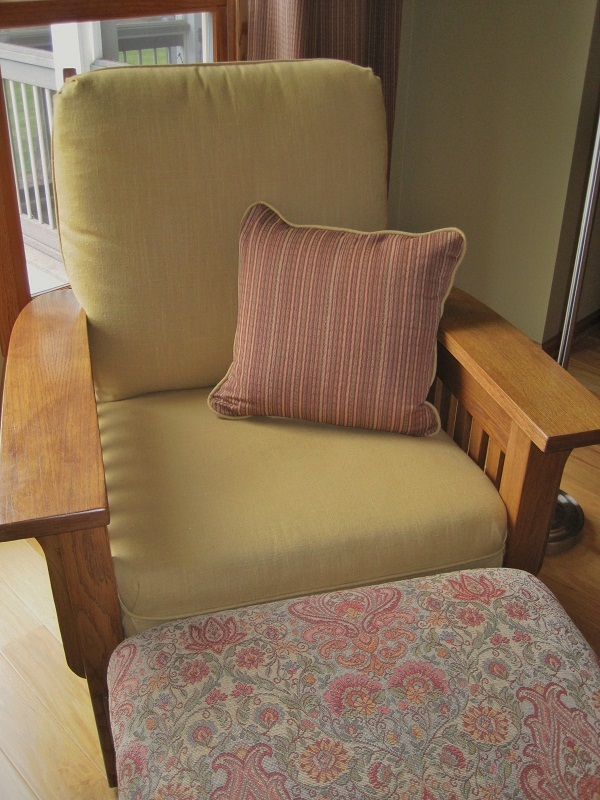 I found a glider and ottoman in Oak Park for $100. We stopped to see it on our way in to the city, loved it, and loaded it into the truck. 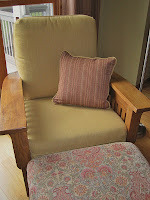 When we got home, all the pieces were picked up for upholstering. Now we needed a coffee table. Believe it or not, this took the longest to find, but eventually we did see one listed in Muskegon, contacted the seller, swung by one day, liked it, bought it, and brought it home. 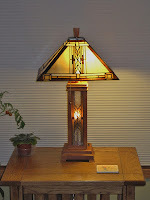 On the same day all of the newly upholstered furniture made its way back into our living room, I set out into the country to see a lamp I found on Craigslist. And that completed our living room -- at least for now. I had to go back to making Nautical Christmas items in time for the upcoming Dear Deer Party. So, I made these 24" square little table toppers. 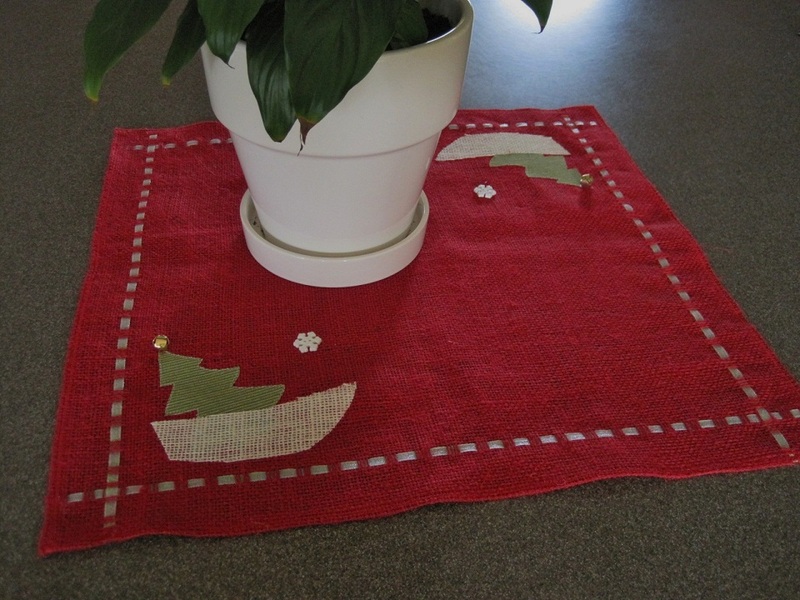 They are just enough to add a bit of holiday spirit to your kitchen island, counter top or table. 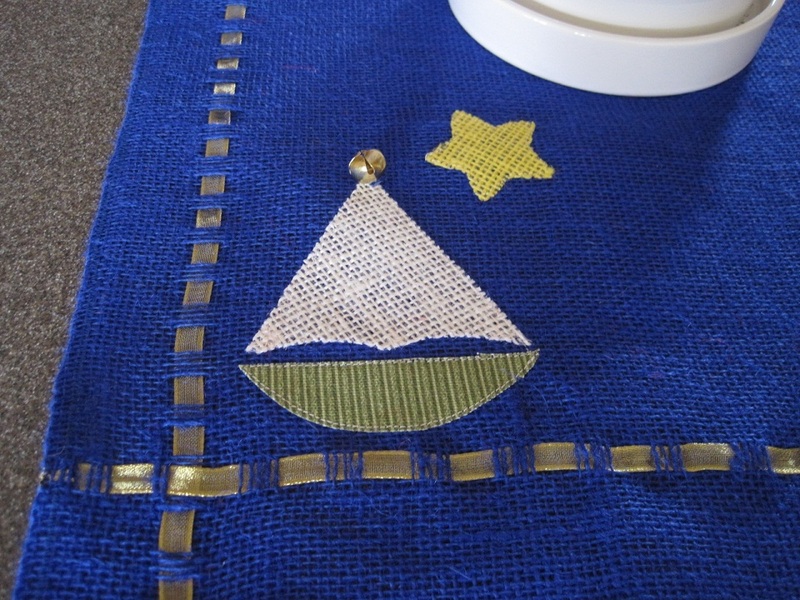 I hand cut the appliques creating a little sailboat following a North Star and topped it off with a jingle bell. These are placed in opposite corners. 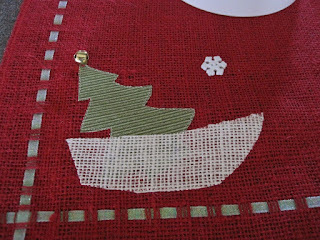 To add an even more festive look I wove gold ribbon through the burlap on all four sides. 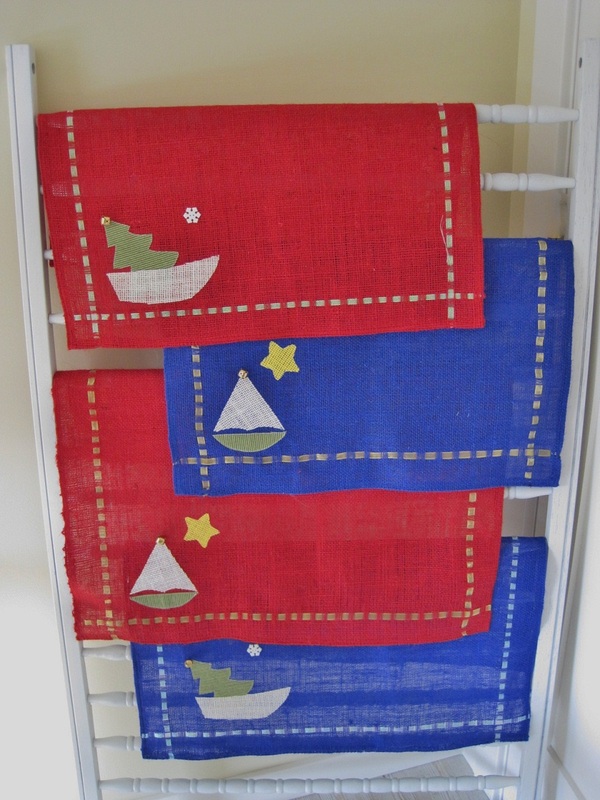 Now, in my house, we can not have sailboats as we have a power boat. Since power boats make for a challenging applique, I opted for this little boat which is carting a Christmas tree that is adorned with a jingle bell atop. I added a single snowflake button for effect. Check out this pillow on Etsy. So, for those of you who thought I switched over to making Christmas items too soon -- I went back to the beach. 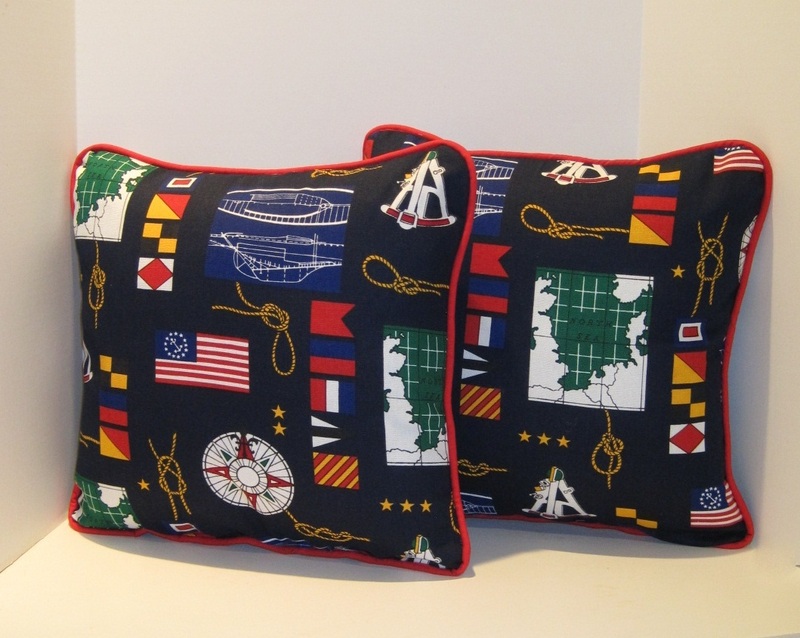 This is another study in dark backgrounds set off by bright piping -- like the nautical pillows below. 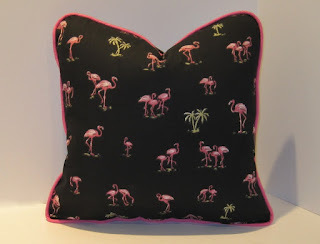 This fabric really grabbed me with the hot pink flamingos set against the black background. Of course the piping had to be hot pink! 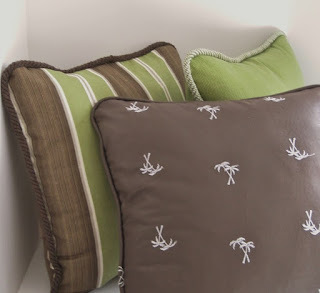 See all pillow details on Etsy! 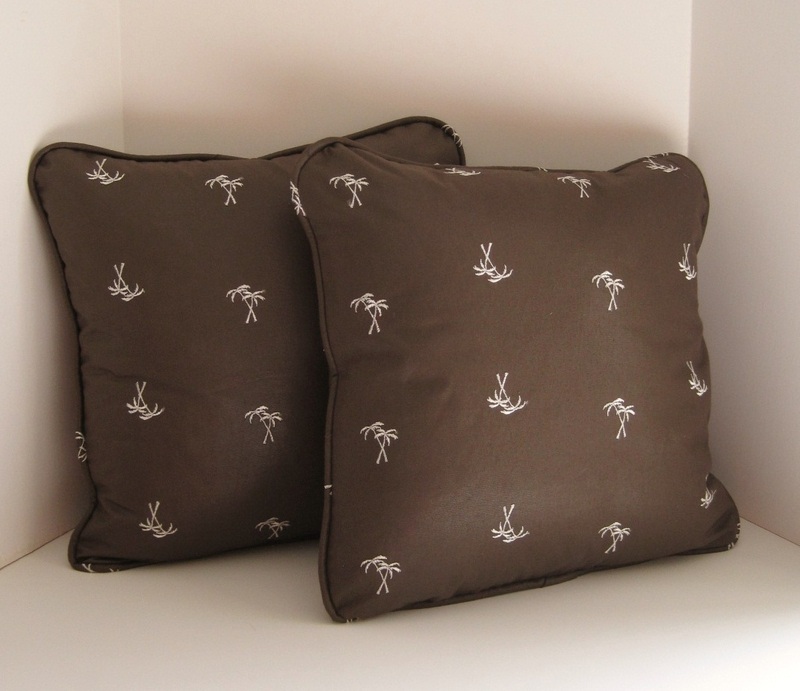 I really like this fabric! 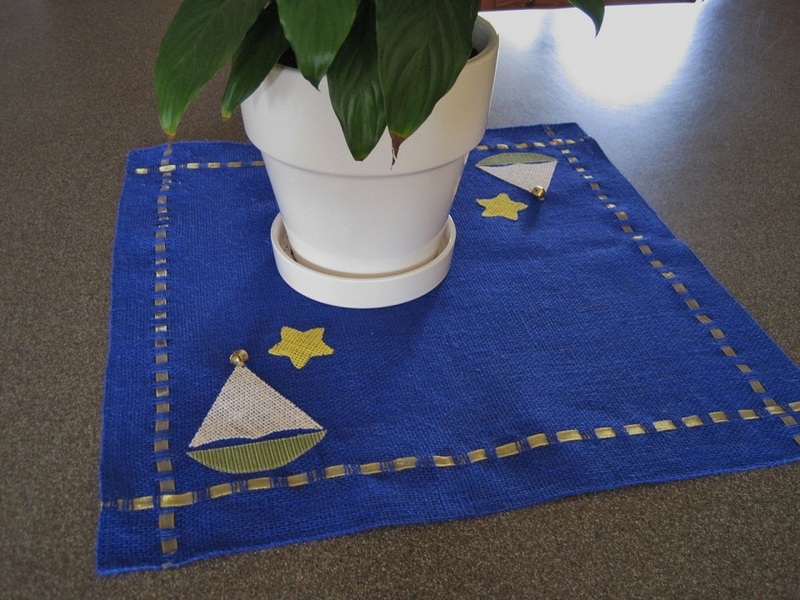 The deep navy blue background really makes all of the classic nautical elements pop. The choice for piping had to be red!